Comments: I did not feel like running on Saturday, so I didn’t. Instead I went out Sunday morning. It was a good run. Tried running a bit slower than last Tuesday, I succeeded. I felt strong and was even able to do some pickups the last two miles. After I got back the hubby (’06 Yamaha YFZ 450) and I (’06 Suzuki Quadsport) went quadding for a few hours at Wayne National Forest. 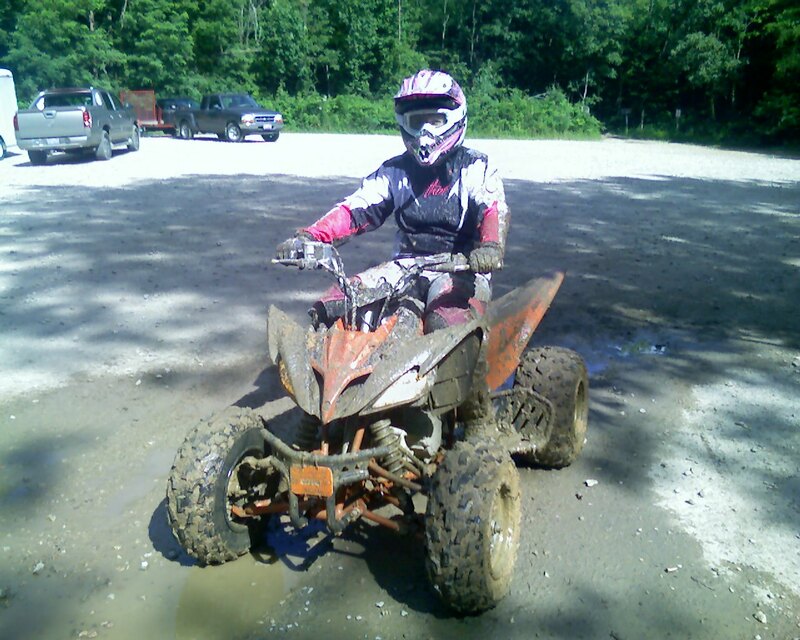 It is funny that I can run for two hours and not be really sore the next day, but the quad riding has my muscles aching. It was fun, but I felt like I had to concentrate really hard to make sure I would not end up getting hurt. That day I enjoyed running more, because you can let your mind go and really don’t need to pay attention to anything (other than cars and road kill), but when you go quadding (we ride fairly fast) you constantly have to be thinking about how to hit the next rut, turn, etc. Exhausting! I am taking Monday off to give my body time to recover and to do some school work.